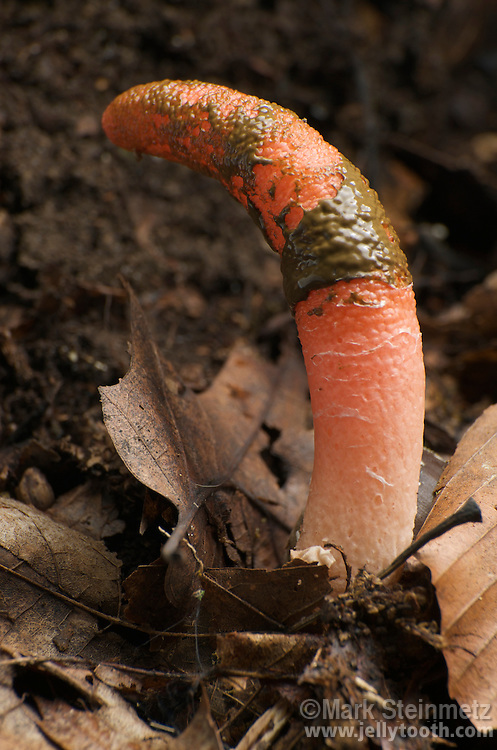 Elegant Stinkhorn (Mutinus elegans). As with other stinkhorns, spores are produced in the fetid, odorous greenish slime layer that atrracts various insects, which then become vectors for spore dispersal. Knox Lake, Ohio, USA.